Tahl Humes, MD « Cosmetic Surgery Forum – Practical. Honest. Insightful. Dr. Tahl Humes is a board certified physician and an international expert in aesthetic and anti-aging medicine. her expertise includes advanced injectables, aesthetic lasers, skin tightening technologies, non-invasive body contouring, wellness, and skin care. She is known for her expertise in combining lasers and injectables for total facial rejuvenation. A sought-after expert in on cosmetic procedures, Dr. Humes helps women and men maintain a natural, youthful appearance. 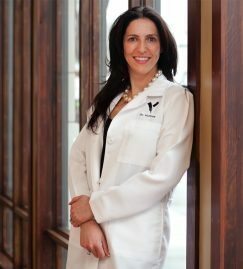 She is the founder of VITAHL Medical Esthetics, a leading cosmetic medicine practice that opened in Denver in 2005. VITAHL has since expanded to include a multiple office across the country. Dr. Humes is a luminary speaker for various aesthetics companies and trains physicians from around the world on lasers and advanced neurotoxin and filler techniques. Dr. Humes has been featured in multiple aesthetic and medical publications and has been interview for her cosmetic medical expertise by news affiliates ABC, CBS, FOX and NBC.